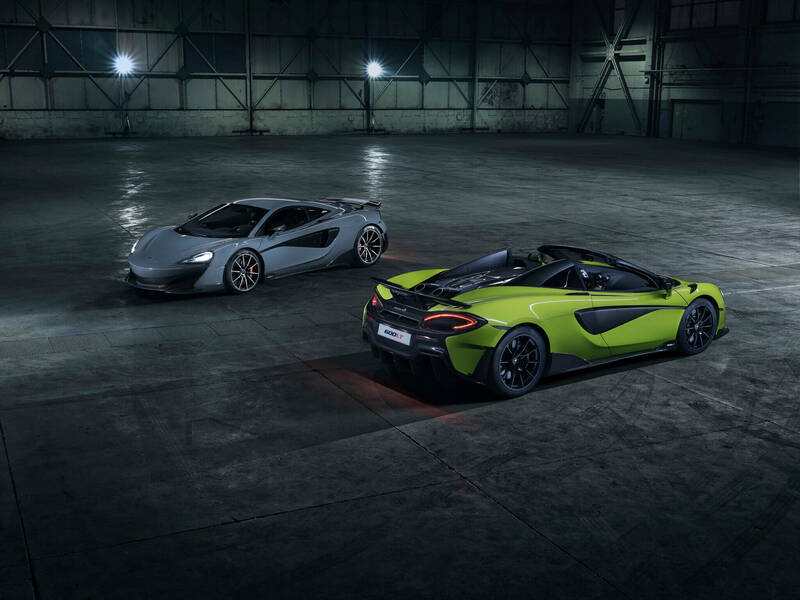 McLaren has taken the covers — and the roof — off its latest entry in the Longtail line of cars. 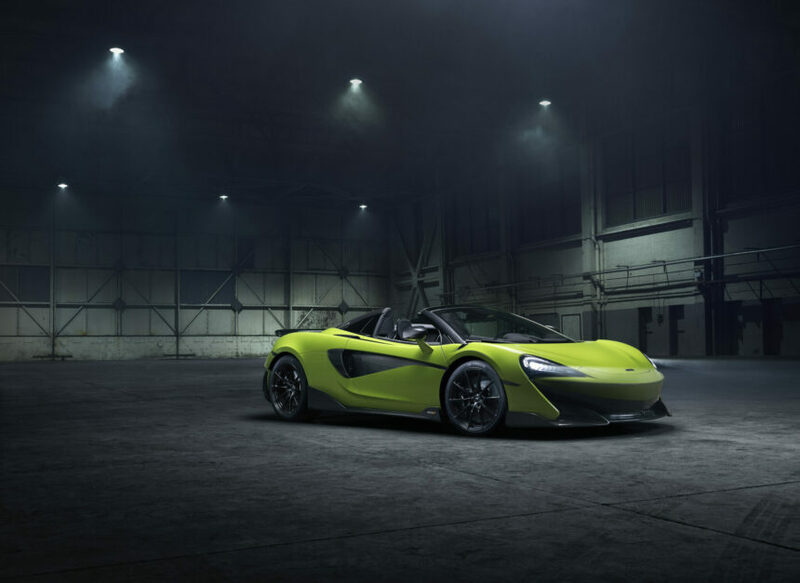 The McLaren 600LT Spider is the fifth car in the Longtail series, following the 600LT coupe, 675LT Spider and coupe, and, of course, the legendary F1 Longtail. 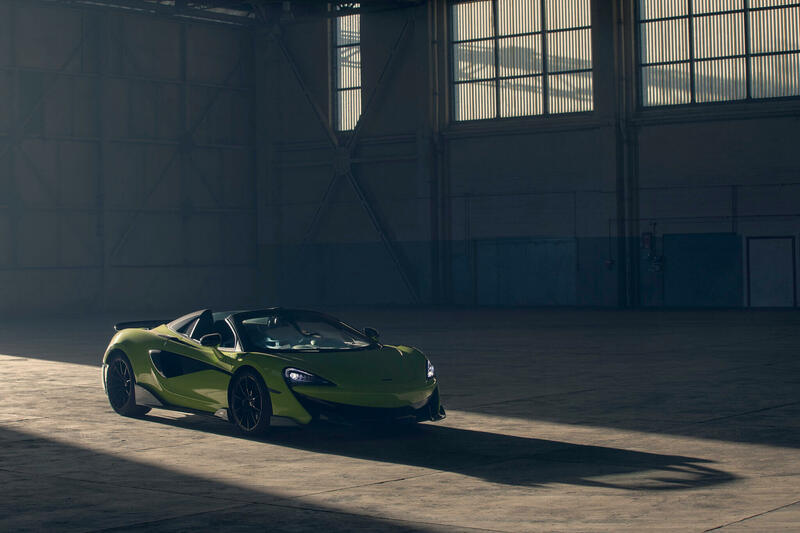 It’s the third car in McLaren’s “Track25” plan to release 18 new models or variants and achieve 6,000 annual sales by 2025. 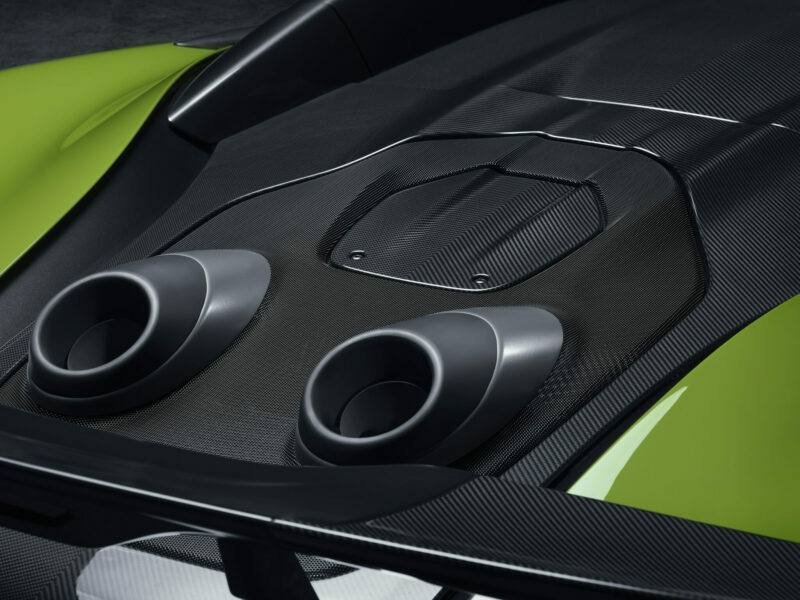 Most of the details of the original 600LT carry over to the Spider model. 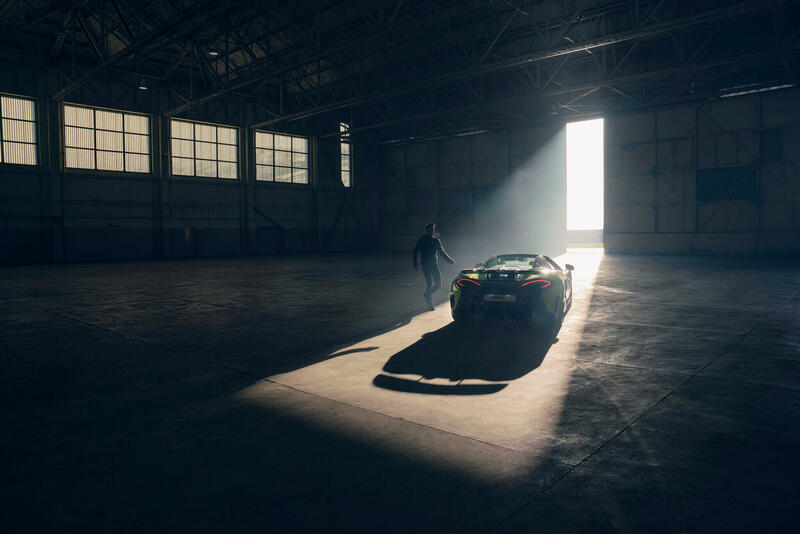 This includes the engine, a 3.8-liter, twin-turbocharged V8 producing 592hp and 457lbft. 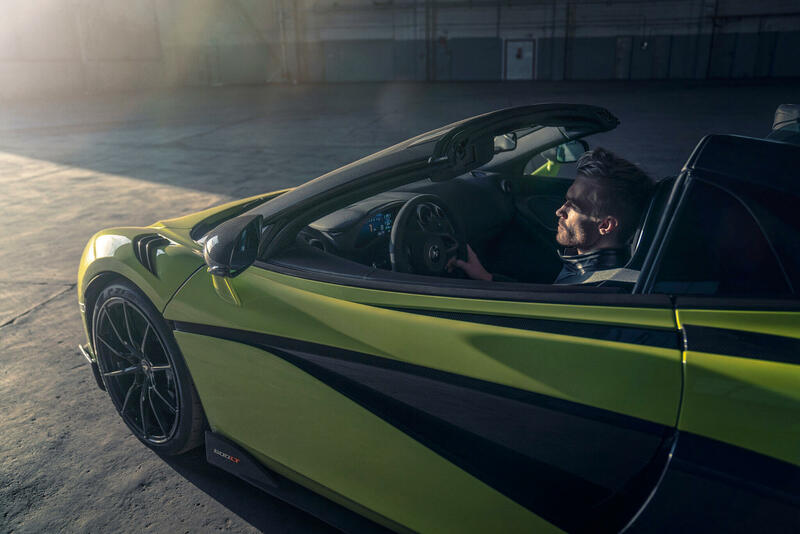 It’s essentially the same engine as in the 570S, but with revisions to the control electronics, cooling and exhaust to produce 30hp more. 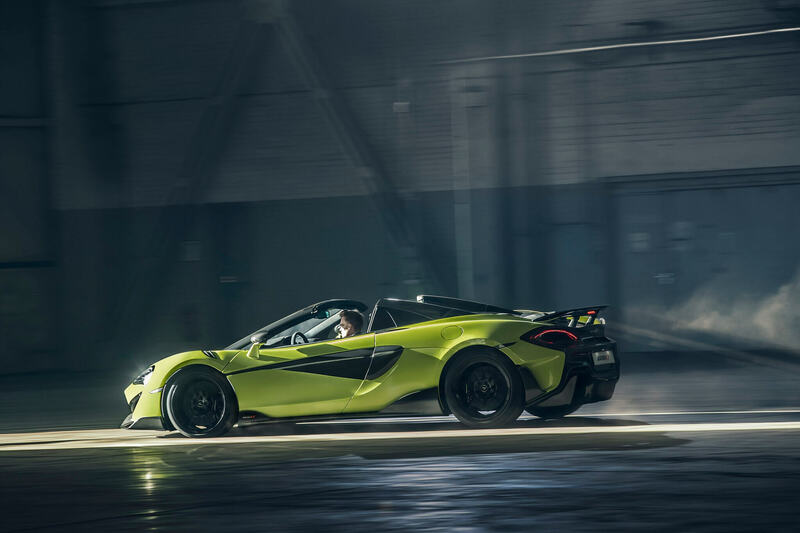 That’s still paired to a seven-speed, dual-clutch automatic, which McLaren calls “Seamless Shift Gearbox” (SSG). 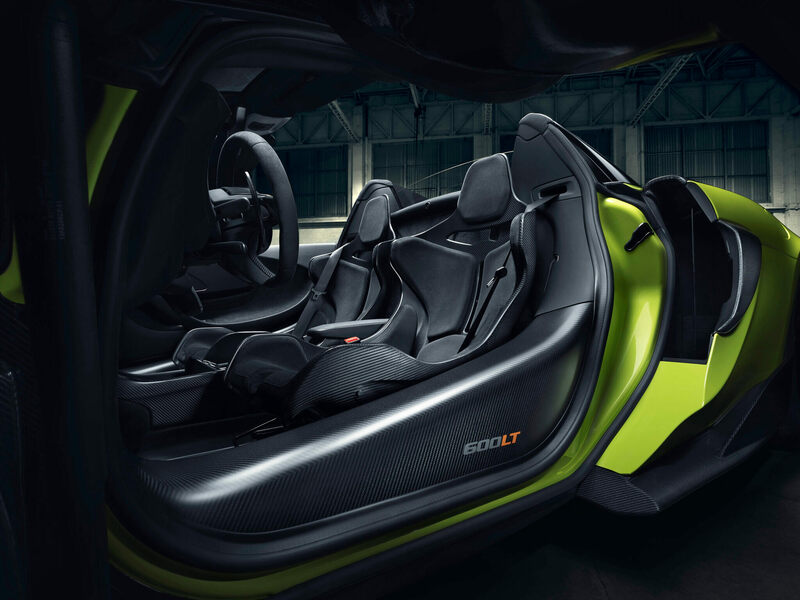 The 600LT Spider also retains those characteristic top-exit exhausts from the coupe model, despite the space requirements of the car’s folding hard top. Indeed the roof is the only difference between the two cars. 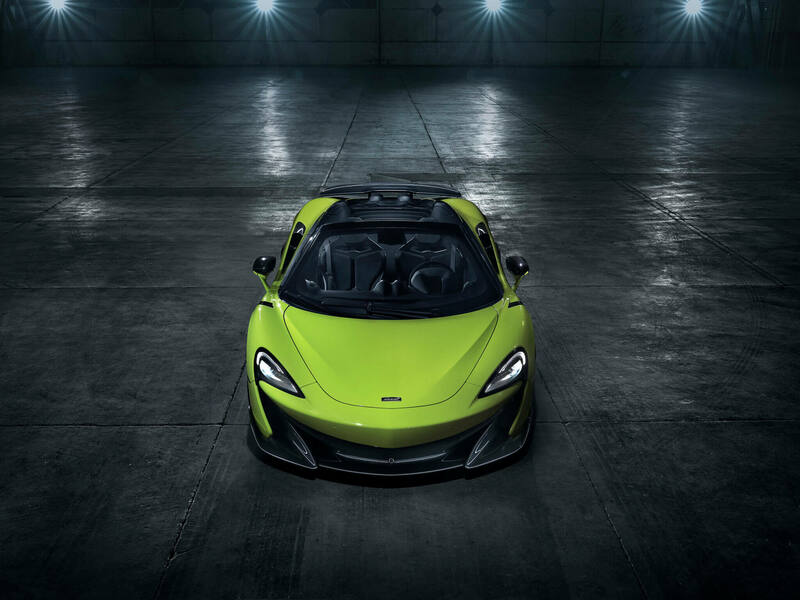 Like the 570S Spider, this is a three-piece powered roof, which you can operate at speeds of up to 25mph. There’s a separate glass wind deflector, which you can raise or lower independently of the roof itself. 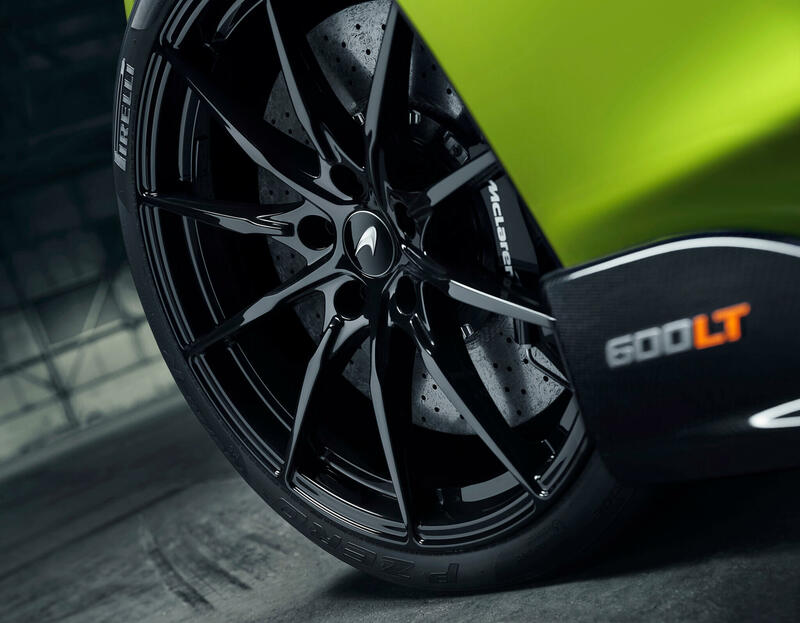 Thanks to the carbon-fiber MonoCell II chassis of the 600LT, there’s no requirement for extra strengthening to accommodate the roof. 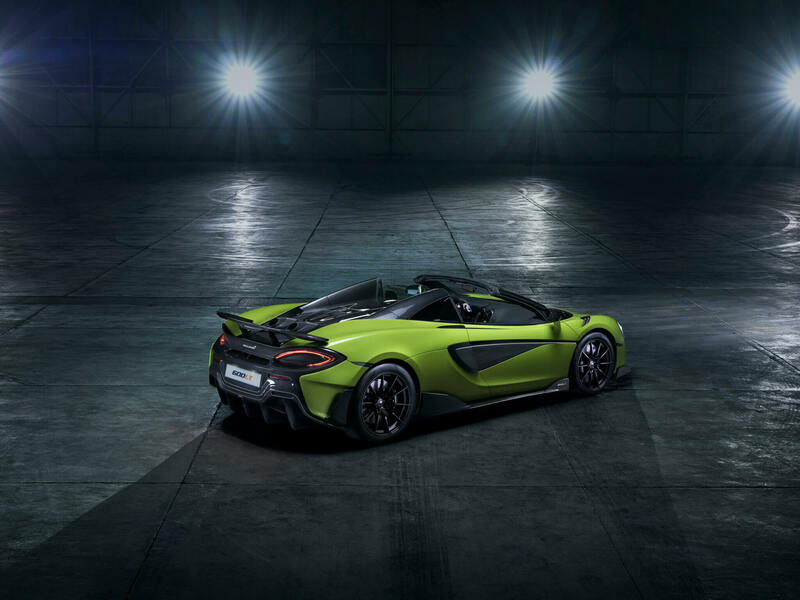 This means that the Spider is only 110lb heavier than the Coupe, with McLaren quoting a dry weight of 2,860lb. 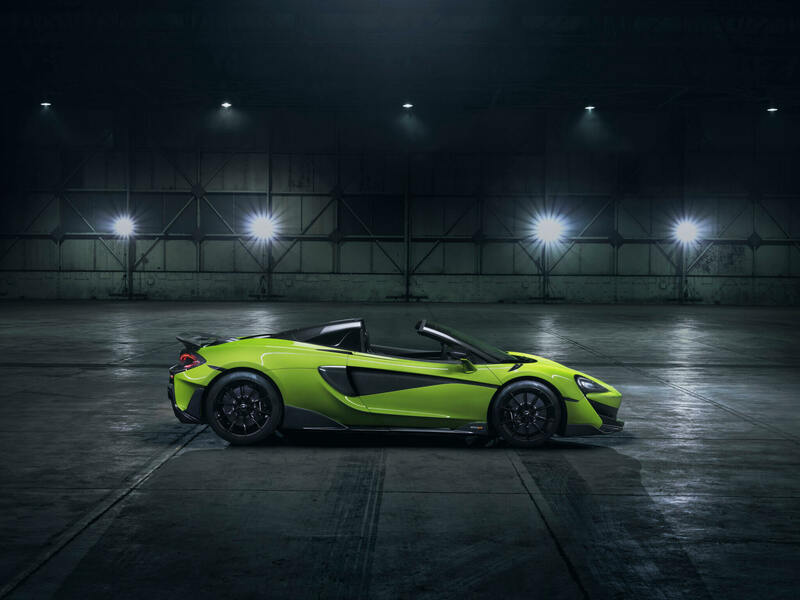 Remarkably, that’s almost 220lb lighter than the car on which McLaren bases the 600LT Spider: the 570S Spider. Part of that includes some expensive McLaren Special Operations (MSO) extras, but it’s still quite a weight saving. 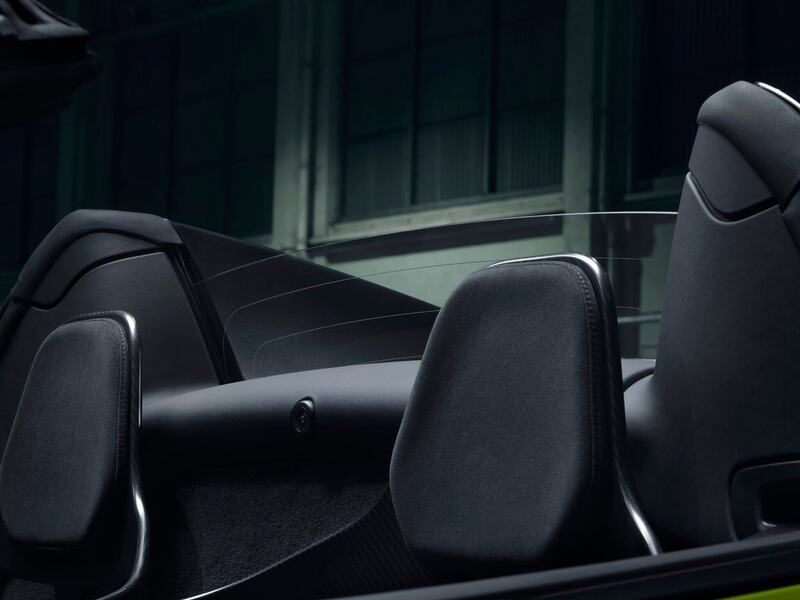 There’s not much difference between the Spider and coupe when it comes to performance. Both cars will hit 60mph in the same 2.7s, while the sprint to twice that speed sees them just 0.2s apart at 8.2s for the Spider. 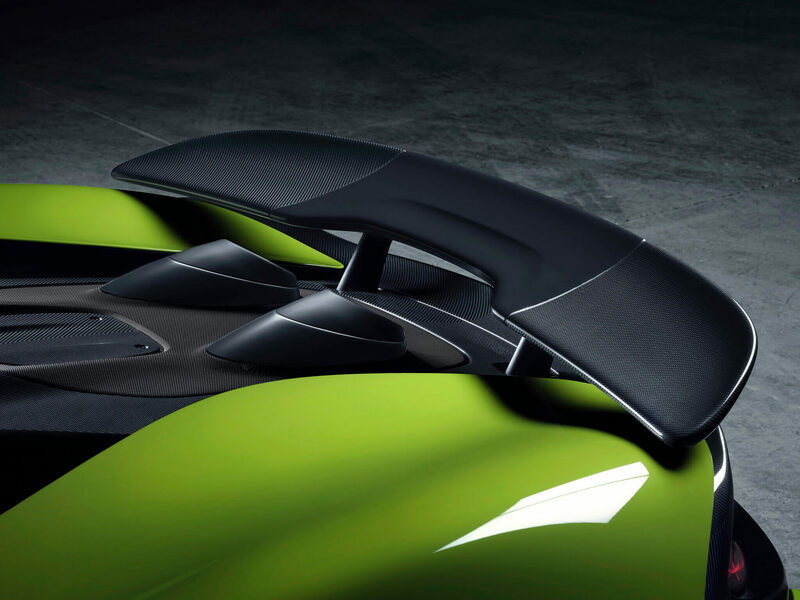 Top speed is almost unchanged too at 201mph, but you will have to slow it down a little with the roof down — to 196mph. 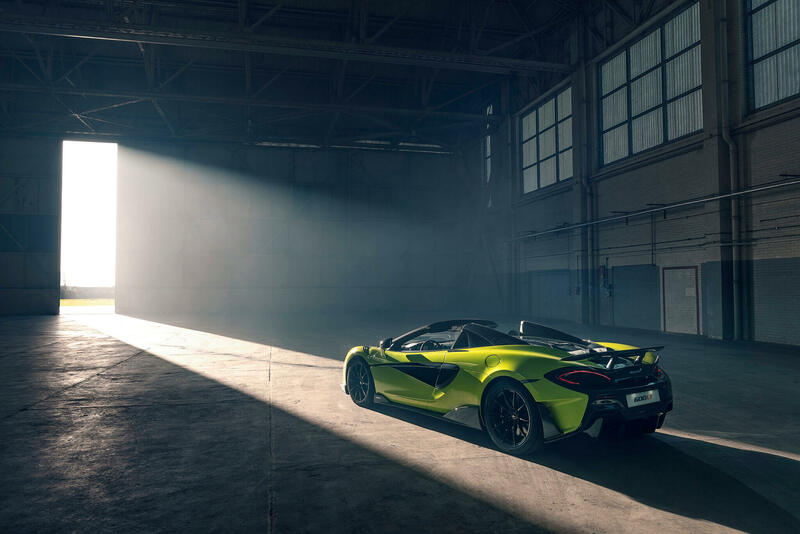 “The McLaren 600LT Spider adds a new dimension of excitement to the most extreme model in the Sports Series family, while losing none of the Longtail focus. 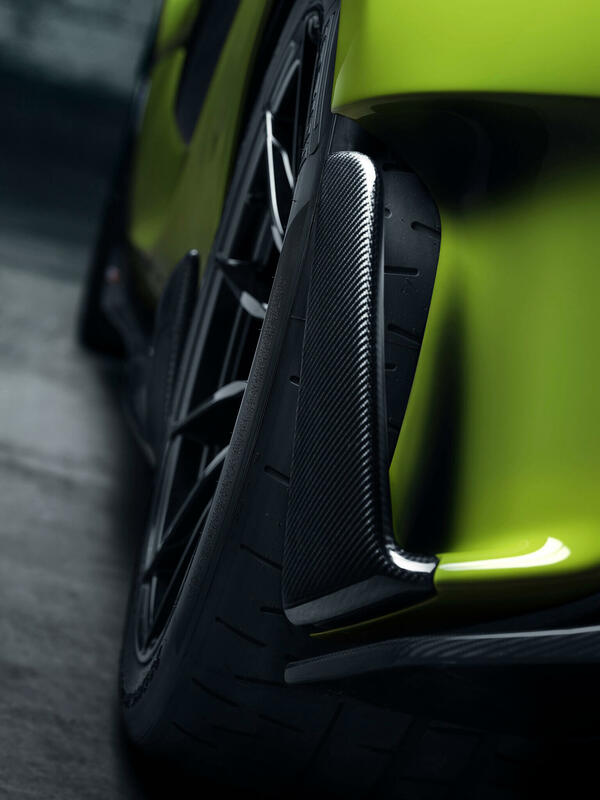 Taking full advantage of the strength of the carbon fibre MonoCell II chassis has ensured that the new Spider has dynamic abilities and performance on par with the 600LT Coupé, for a weight premium of just 50kg and with no additional structural strengthening required. 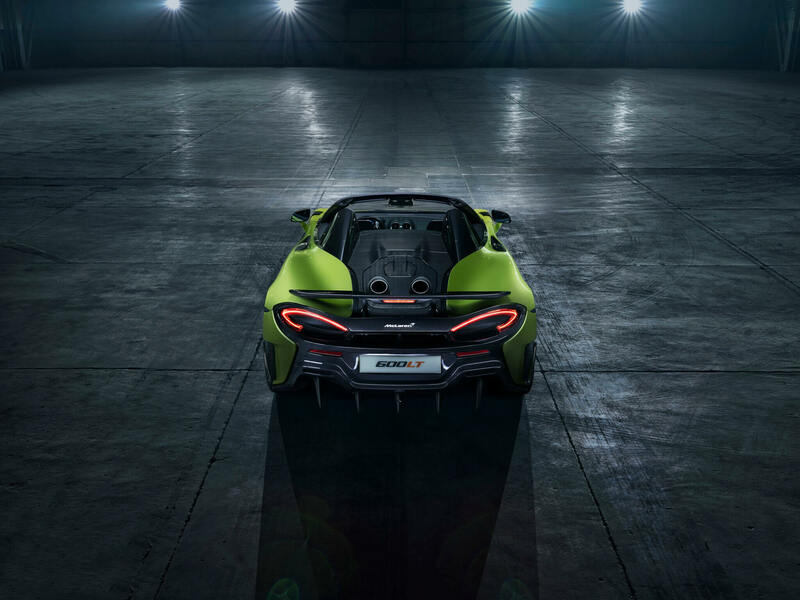 If you want a 600LT Spider, you’ll need to be quick. McLaren plans a limited run, with all cars hand built at Woking. The price stands at £201,500 for UK customers before options, and $256,500 before taxes in the USA.